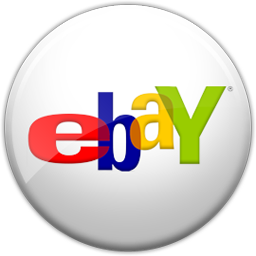 Alfred's Basic Piano Course: Praise Hits fills the need for contemporary Christian music to be used as supplementary pieces for students. Soon after beginning piano study, students can play attractive versions of the best-known worship music of today. 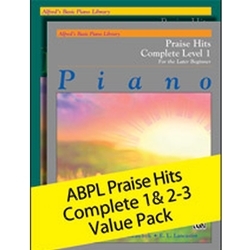 These books are a compilation of Levels 1-3 of Alfreds Basic Piano Library Praise Hits books, and correlates page-by-page with levels 1-3 of ALfred's Basic Piano Library Lesson Books. Some titles included are: Forever * Lord, I Lift Your Name on High * The Wonderful Cross * Blessed Be Your Name * Forever Reign * Holy Is the Lord * Hosanna (Praise Is Rising) * Revelation Song * Our God * Here I Am to Worship (Light of the World) * Your Grace Is Enough * In Christ Alone (My Hope Is Found) * One Thing Remains (Your Love Never Fails) * 10,000 Reasons (Bless the Lord) * Everlasting God * Jesus Messiah * Hosanna * Mighty to Save * From the Inside Out * Indescribable, and more. The value pack includes books 1-3.